The Ethiopian food have a very special healthy vegetarian and any type of eater can enjoy it. If you are into the vegetarian side, this food is right up your pathway. Ethiopian food is perfect for the vegetarian or any other type of food intolerant eater. Most of the dishes that are served are vegetarian, so if you have a myriad of different eaters in your group everyone will find a little of something to enjoy. Come try out our Ethiopian food at the north side market in Fredericton and experience the flavorful atmosphere no matter the type of eater you and your family members may be; we are always opened Saturday and Sunday. Do you know being vegetarian can reduce risk of Stroke and Obesity? Have you ever tried Ethiopian food? 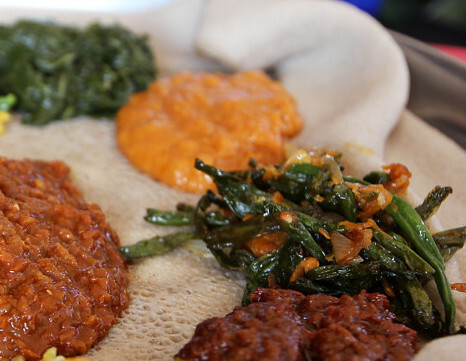 Here is for a beginner’s Guide to Ethiopian Food.